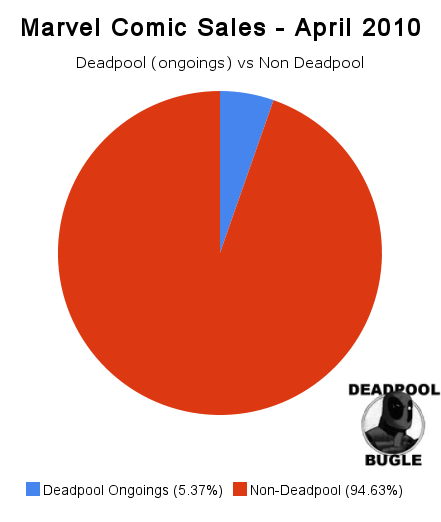 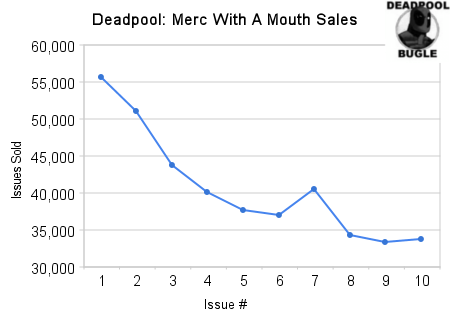 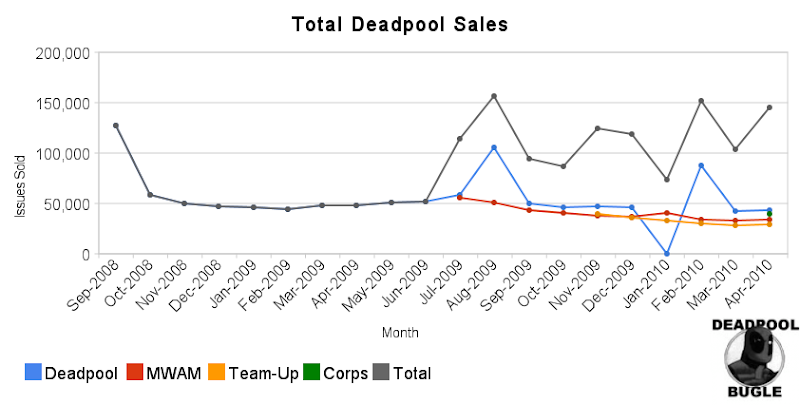 The April 2010 sales data have been released by Diamond Comic Distributors, including the following Deadpool sales data for the four ongoing Deadpool series. 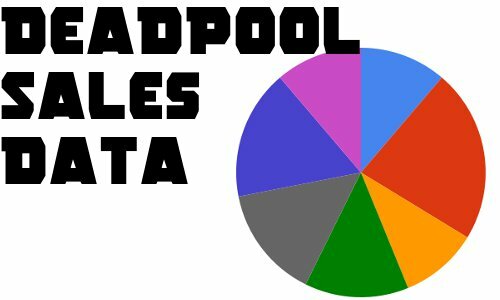 When the number of issues of Deadpool ongoing comics is compared to the total number of comics sold by Marvel in April 2010, Deadpool ongoings make up 5.37% of all Marvel comics sold. 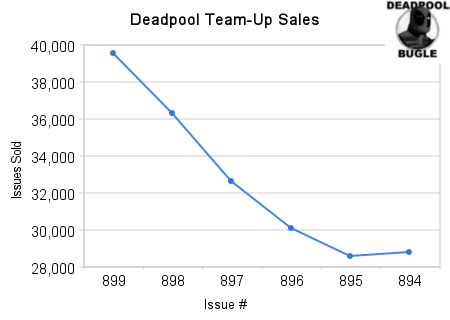 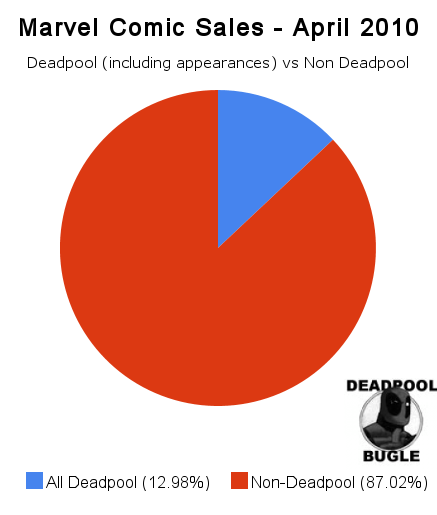 If the number of Deadpool ongoing comics is combined with the number books where Deadpool makes an appearance and compared to the total number of comics sold by Marvel in April 2010, Deadpool comics make up 12.98% of all Marvel comics sold.